Planning a funeral is a daunting task that requires a substantial investment of time, energy, & money. 24Hour Caskets can help relieve your worries when it comes to costs – we specialize in helping you save money & find the best value. Funeral homes price caskets as big ticket items – they know consumer buying patterns and they have arranged their pricing schedules to maximize their profits. 24Hour Caskets can help you lower your casket costs, even if you end up purchasing from the funeral home. 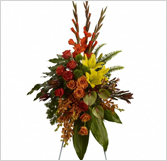 Get a complete schedule of costs from the funeral home you choose. Have them include one of their caskets. Use the General Pricing List as a guideline, and make sure they include all charges, fees, and taxes so you have a completely accurate total. Why? If you tell the funeral home upfront that you are not purchasing a casket from them, they will often attempt to make up the loss by padding prices for other items. Don’t Tell the funeral home you are ordering the casket from 24 Hour Caskets until you have your itemized price list with the casket included. Why? Many funeral homes will match our prices when they hear you are ordering from us but then raise the price on other items without your knowledge. First get your itemized price sheet and then order from us. If the funeral home tries to change any of the previously agreed prices, refuse to do business with them. Why? The funeral industry is governed by the United States Federal Trade Commission’s ‘Funeral Rule’. 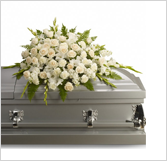 Funeral homes are expressly forbidden from changing other prices because you are using a 3rd party casket provider. The Funeral Rule exists to protect your rights… don’t be taken advantage of at an emotional time! Following this checklist gives you the best chance at realizing thousands of dollars in savings. Of course we would love to have your support as a customer of 24Hour Caskets, but if you decide to order elsewhere we still want to see you get the best deal possible. Don’t pay more than you have to for a casket – manage your funeral costs and get the most value for your money. It’s easy to get started, and our funeral counseling is offered 100% free and with no obligation – we’re on-duty 24-hours a day at support@24hourcaskets.com, or call 866-474-5051. Get prices from at least three funeral homes in your area. This is the best way to determine what the average costs are for a funeral in your area. Funeral home price lists are like menus – only order what you want. Feel free to question and/or eliminate any products or services you do not want, that are not required by law, or that can be ordered for less money somewhere else. 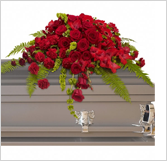 The funeral home may offer misleading prices for metal caskets. 18 gauge caskets are heavier than 20 gauge caskets, and have locking mechanisms, memory tubes, and rubber gaskets. Some funeral homes claim to match our prices on 18 gauge caskets by offering a 20 gauge casket instead. 20 gauge caskets are good caskets too, but do not pay more than $700 for one and be aware of the differences between the two models. The funeral home may assume a Saturday service. Everything is more expensive on Saturdays – cemetery & funeral home fees, transportation, police escorts. Ask about costs on other days of the week. The funeral home may assume an open casket service. A closed casket service can save you thousands of dollars, including embalming, funeral outfit, body preparation, and more. Ask about the difference in price. The funeral home may not include the costs for a graveside service on their list of costs. A graveside service is generally the least-expensive way to hold a funeral, barring cremation. Some customers have reported that their total funeral costs were less than $2000. Call us to discuss planning this type of service. The funeral home may not divulge the full range of 3rd party suppliers for funeral products. Save on flowers by purchasing direct from a florist. Save on the register book by purchasing direct from a stationary shop. Save on a grave marker by purchasing from 24Hour Caskets – our prices could save you up to 75% from those of a funeral home or cemetery. For additional tips on keeping funeral costs reasonable, please visit our Consumer Guide. The bottom line – you have guaranteed rights as a consumer when shopping for funeral products & services. Know your rights & exercise them… easier said than done when you are coping with the loss of a loved one, but that’s why we are here to help. 24Hour Caskets funeral counseling is offered 100% free and with no obligation – we’re on-duty 24-hours a day at support@24hourcaskets.com, or call 866-474-5051.